We are now coming to a close on the Munich series, having looked at the impact of the disaster on the team and the communities. Now, we will have a look at the modern evidence to suggest that the memories of the Munich disaster have become twisted because of the tribalism now seen among fans. There is also contemporary evidence to suggest that Munich is not forgotten in modern society. On 8 December 2006, Sir Bobby Charlton and the Mayor of Dublin were at the opening ceremony for the renaming of a railway bridge to the Liam Whelan Bridge in commemoration of Billy Whelan, who died only aged 22 in Munich. The Flowers of Manchester, released in 1962 on the Spinners first album Quayside Songs Old and New, was a ballad written anonymously within weeks of the disaster. Recognised still by the Stretford end favourite with a banner commemorating the lyrics, the song has become one of the greatest symbols of remembrance. 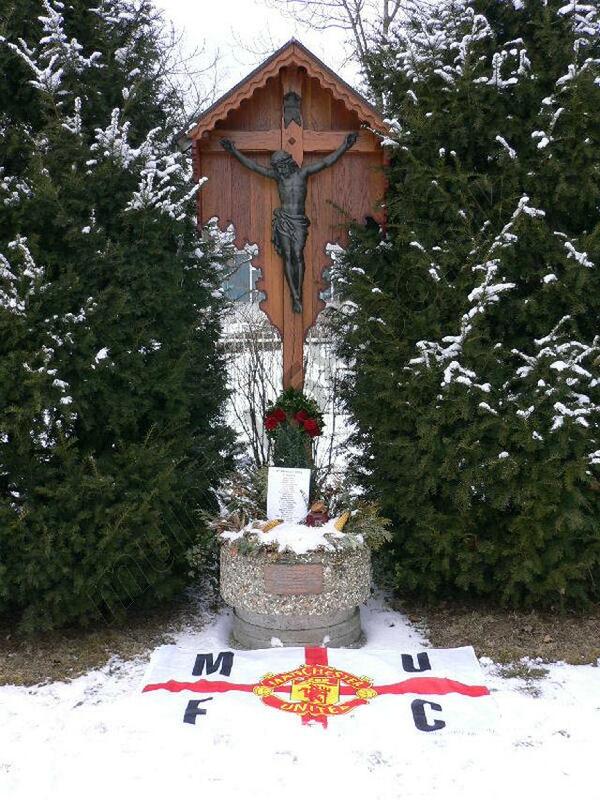 Since 2001, fans gather underneath the Munich memorial at Old Trafford before the home closest to the memorial to sing the Flowers of Manchester together, and it is something recognised by the club. However, I was recently discussing the memorial with a fan who went to sing under the memorial but he told me how the singing was interrupted by 2 buses filled with tourists who rushed past, taking pictures and interrupting those who were singing. It is a testament to the impact of the Munich disaster that contemporary fans still annually remember those who were lost, despite the new waves of fans not truly appreciating the club’s history. Memorials also exist in Munich. As one can see (left), the cross is decorated by a trough of flowers in loving memory of those lost. According the munich58.co.uk, a memorial website dedicated to the legacy of the Munich disaster, the translation on the stone reads ‘In memory of the victims of the air disaster of February 6 1958 including members of the football team of Manchester United and victims from Trudering’. Also, in September 2004, United funded the formation of a granite plaque memorial just metres from the wooden pre-existing one. Hermann Memmel, who campaigned for years for the memorial highlighted how this ‘represented a contribution to international understanding between England and Germany that is not to be underestimated’, underlying the significant link that Munich established between England and Germany. He had played for Manchester City on loan and following his death, City have since retired his number and set up a memorial in his memory. 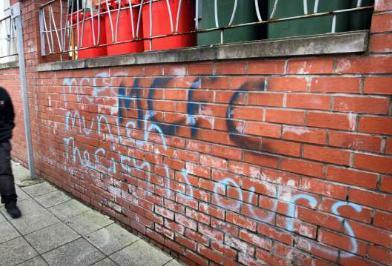 It is upsetting to see the names and memories of incidents used in derogatory fashion but evidently, some football fans overvalue the importance of football. 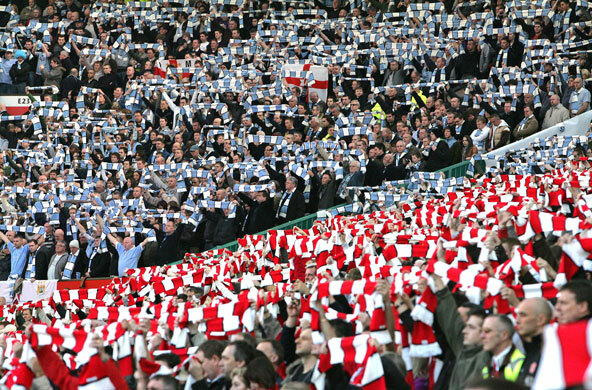 Football’s place in Manchester society evolved because of Munich. The immediate tragedy, embodied by the overwhelming of the news and media outlets was marked by communal grieving and a city-wide sense of personal loss that research suggests, as shown, still holds resonance today. It is disappointing to see how the tribalism amongst fans has caused the immortalisation of the Busby Babes to be used in a derogatory fashion at points but it only further emphasises the strength of the legacy that it left behind on the community. With fans still annually commemorating through their own collective efforts and newspapers not letting memories fade, the memories of Munich will never die in Manchester. The impact the disaster had was too great on the community for time to let the legacy fade. It may be part of the club’s history, just as Ernest Mangnall’s pre-war reign was, but in the eyes of the community, it played a major role in their memory and the construction of United’s image. It seems a shame to the memories of the disaster that events such as the ones stated above happen today. 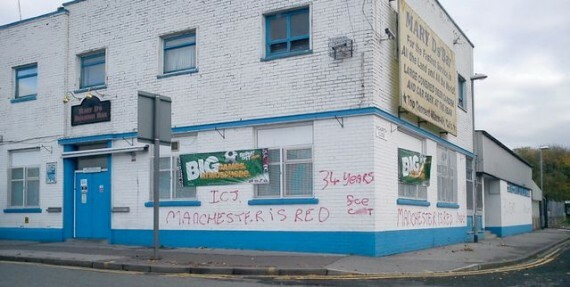 It is not something that can be avoided because there are some fans that take football further than it should be. In some minds, football is indeed more than a game.